Paris is broken up into 20 Arrondissements (districts), each with it’s own unique personality. The 1st Arrondissement, where the Louvre is found, is located in the center of the city. It’s a bit of a tourist hot spot, especially enjoyed by those interested in art and shopping. Next door, the 2nd Arrondissement is the smallest of them all and arguably one of the most underrated. It’s quiet while still being walking distance to everything in the touristy 1st Arr. 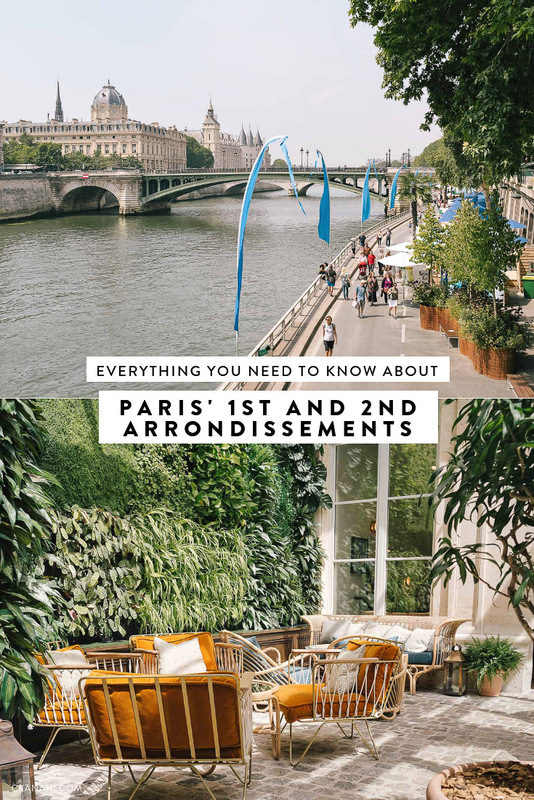 Here is everything you need to know about Paris’ 1st and 2nd Arrondissements! 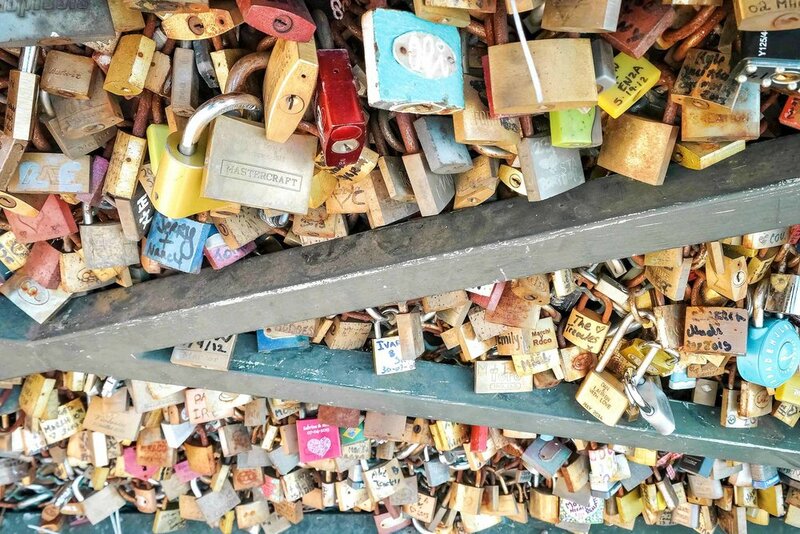 ALSO READ 8 THINGS YOU CANNOT MISS IN PARIS AND THINGS TO KNOW BEFORE YOU VISIT PARIS — A FIRST TIMER’S GUIDE! 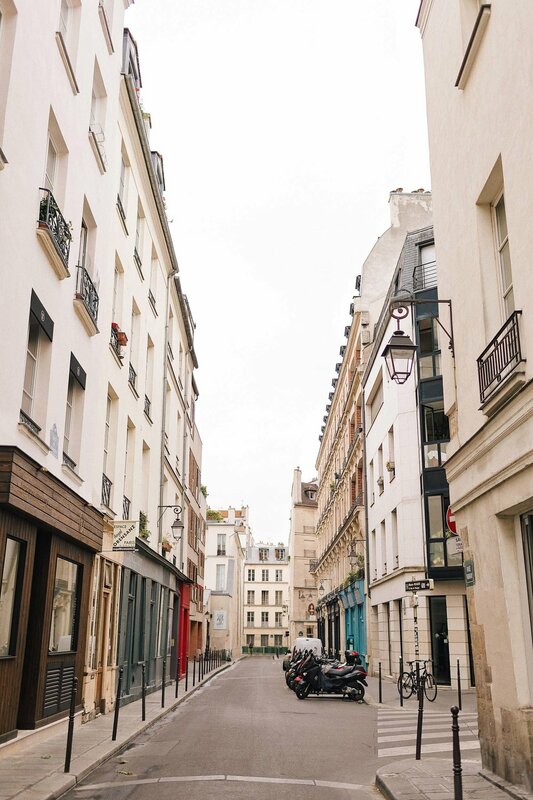 Also, subscribe below to get our free downloadable guide and we’ll also send you some step-by-step help to plan the Paris trip of your dreams! The Hoxton is a wonderful 4-star hotel that I have personally stayed at and highly recommend. Since it is in the 2nd Arrondissement it is very centrally located and is beautiful beyond words. Last time I visited Paris I booked two nights here and ended up liking it so much that I extended to four. Click here to see the latest prices. Hotel Le Meurice is a very highly recommended 5-star luxury hotel on popular Rue de Rivoli. 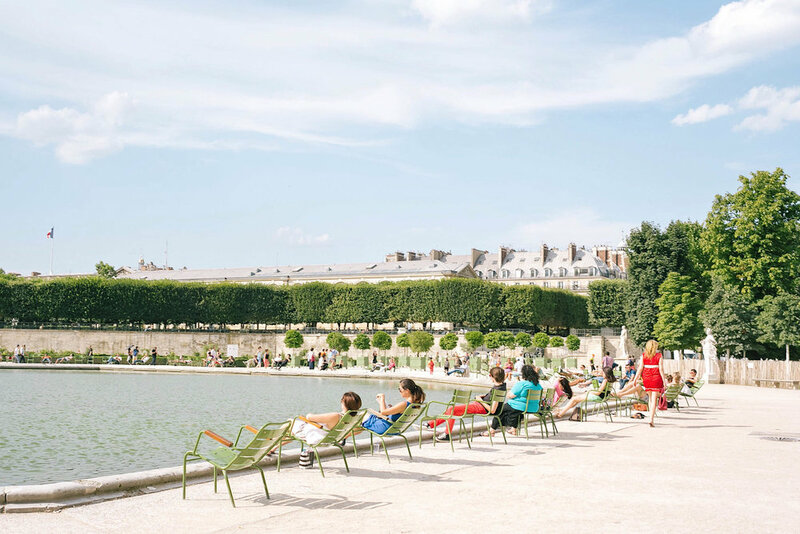 It’s location next to the Louvre and across from the Jardin des Tuileries make it as central as possible in Paris! Click here to see the latest prices. Ritz Paris is another 5-star hotel in the 1st Arr. Its location in Place Vendome make it slightly more appealing than the Hotel Le Meurice, in my opinion :) Click here to see the latest prices. ELLSWORTH (34 Rue de Richelieu) — French restaurant with good wine. I haven’t tried the fried chick but apparently it’s a can’t miss kinda thing. KUNITORAYA RESTAURANT (5 Rue Villedo) — A good Japanese restaurant known for its udon. MAISIE CAFÉ (32 Rue du Mont Thabor) — Healthy food heaven! A delicious cafe featuring vegan and vegetarian options and cold pressed juice. SHAKA POKE (34 Rue du Louvre) — Hawaiian poke. I didn’t go here in person but ordered it on Uber Eats while working from my hotel room at The Hoxton and it was great! PIZZERIA POPOLARE (111 Rue Réaumur) — Pizza by Big Mamma Group! I haven’t tried this restaurant but all Big Mamma Group spots are SO GOOD (this one included, I’m sure). BALAGAN (9 Rue d’Alge) — A great Israeli restaurant. ITACOA (185 Rue Saint Denis) — Fresh, local and seasonal products. Cold-pressed restaurant and juice bar. ECHO (95 rue d’Aboukir) — Great for coffee + a quick bite. 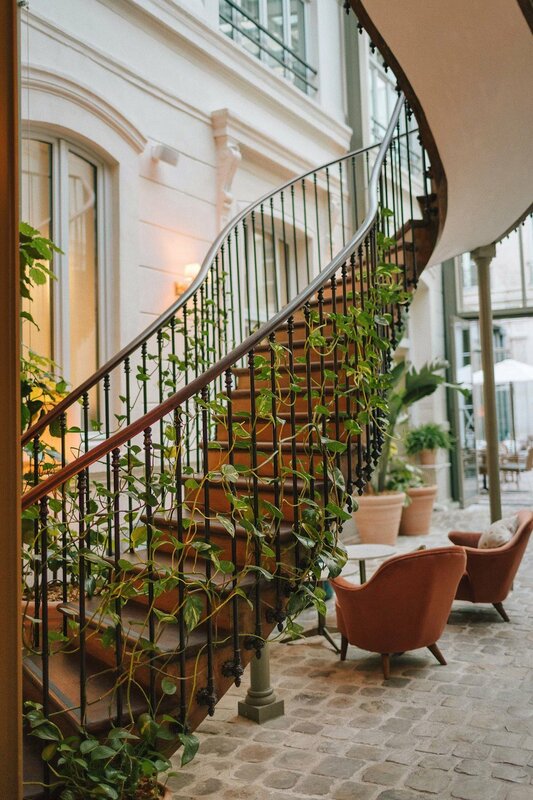 LIZA (14, rue de la Banque) — Lebanese food in a beautiful setting. JUICERIE (2 Rue De la Michodière) — Fresh juice, acai bowls, granola. MATAMATA COFFEE BAR (58 Rue d’Argot) — Specialty coffee and homemade food. BAR DANICO (6 Rue Vivienne) — Cocktails! LE COMPAS (62 Rue Montorgueil) — Cocktails and good people watching on popular Rue Montorgueil. The Louvre — an obvious can’t miss. Grab a timed entrance ticket (self-guided). Musée de l’Orangerie — Smaller collection, but it’s great. Monet’s Lilies are here as well as other impressionist paintings. Reserve your ticket here. Les Halles — A popular shopping mall connected to Chatelet Les Halles, the RER and Metro transit hub. Rue de Rivoli — Famous shopping street, home to many stores. Rue Montorgeuil — A market street full of many cafes and shops.